Who is Tony Brown? Those outside the record industry might not immediately know the name, but they undoubtedly know his work. As a pianist, he toured with Elvis' TCB band, Rosanne Cash, The Oakridge Boys, and Emmylou Harris. As a producer, he recorded albums with George Strait, Trisha Yearwood, Brooks & Dunn, Lyle Lovett, Vince Gill, and Reba McEntire, to name a few. Working as everything from a session musician to the president of MCA Nashville, Tony Brown has been involved in every facet of the recording industry and has left an indelible mark on popular music. 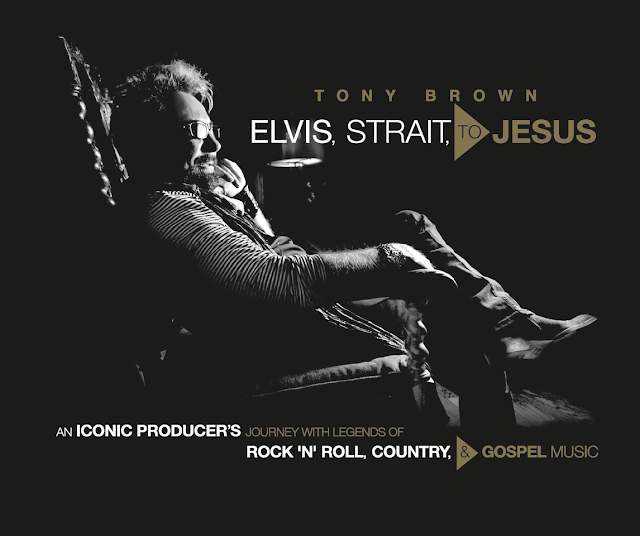 ELVIS, STRAIT, TO JESUS, uses photography going back over 70 years and personal insights to gain an intimate look at this iconic artists career. The book is a unique blend of oral and photographic history that could be easily torn through in an hour, but readers should take this one in slowly. While the photography in the book is certainly noteworthy, Brown's insights that accompany the stills give them a weight and context that may have otherwise been missed. The only downside to the book is it feels like the surface has barely been scratched. Certain eras and collaborations feel like they could have entire books written about them and unfortunately, they are truncated to a few lines or maybe a paragraph. This isn't as much of a complaint as it might sound, as my interest has been piqued and I'd like to dig in deeper. The book is a 40,000-foot view of a 70 + year time span and I want to drill down and dwell on some of the stories for a bit longer. 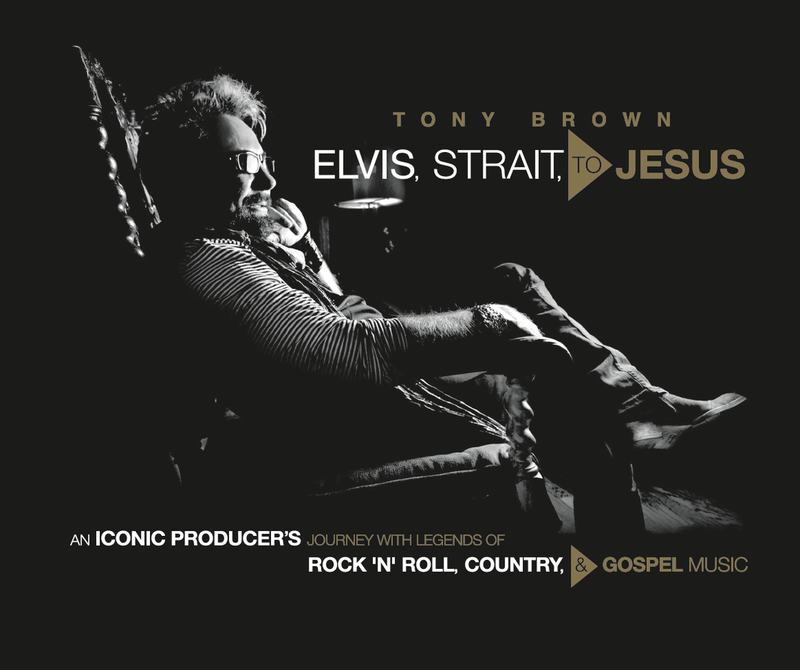 With a monumental career that has seen over 100 #1 singles, over 100 million units sold, and touched countless lives, ELVIS, STRAIT, TO JESUS acts as a much-deserved celebration. The book is breezy and wildly entertaining but ultimately left me wanting a bit more. I'd highly recommend this coffee table tome to any fan of popular or country music. The book can be purchased from Amazon HERE. If you are considering purchasing the title, I'd like to suggest the hardcover edition, it's simply stunning and will look great on your table for years to come.